Chevrolet's best-selling crossover now comes with a new attitude. 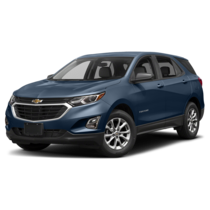 The Chevy Equinox has been redesigned for the 2019 model year including a stunningly sculpted exterior and spacious interior, a trio of turbocharged engine options, and intuitive technology and safety features we know you'll enjoy! 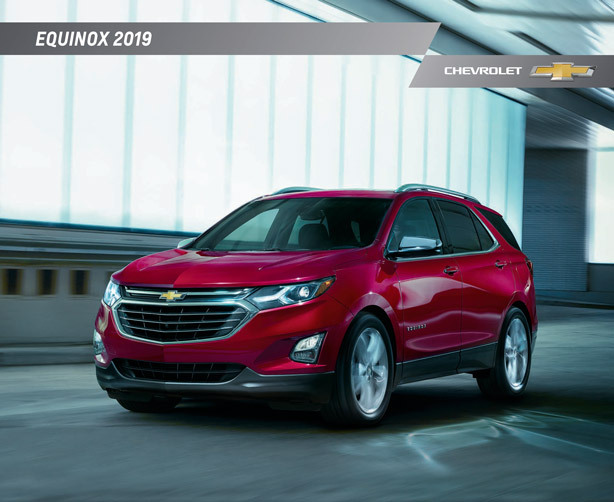 You can see photos, specifications, and feature details in the 2019 Chevy Equinox brochure courtesy of Graff Bay City. Explore everything this crossover has to offer you and your crew by clicking below to view and download the brochure. A vehicle is a big commitment and we want to help you make the right decision for your lifestyle and budget! You can get started on your new crossover hunt online by searching available 2019 Chevrolet Equinox inventory on our website. Our inventory is always updated and available 24/7 so you can shop for your next vehicle at your convenience. In each listing you'll be able to see a list of features, photos from our dealership, and pricing details. If you see a crossover you like, be sure to give our friendly team a call at (989) 684-4411 to get hands-on and schedule a test drive. If you're not finding exactly what you're looking for, no worries! Let our team know and we'll help find the perfect crossover for your needs.